Anyone who’s spoken with me in person about the Twelve Doctor’s look will know that although I respect what the costume designer came up with, I was never truly taken with its overall appearance. As series eight progressed I increasingly was uninspired by the dilution of the design and its unnecessary embellishments. There's Cosmic Hobo and there’s Space Tramp. So it’s with some glee a friend sent me some candid pictures of today’s location filming for series nine. Peter now sports a smarter look with a dress (Budd?) shirt and waistcoat. But it's the coat that's finally got me excited. Although it appears to be the same cut at the series eight Crombie, it’s in an eye catching deep burgundy velvet. 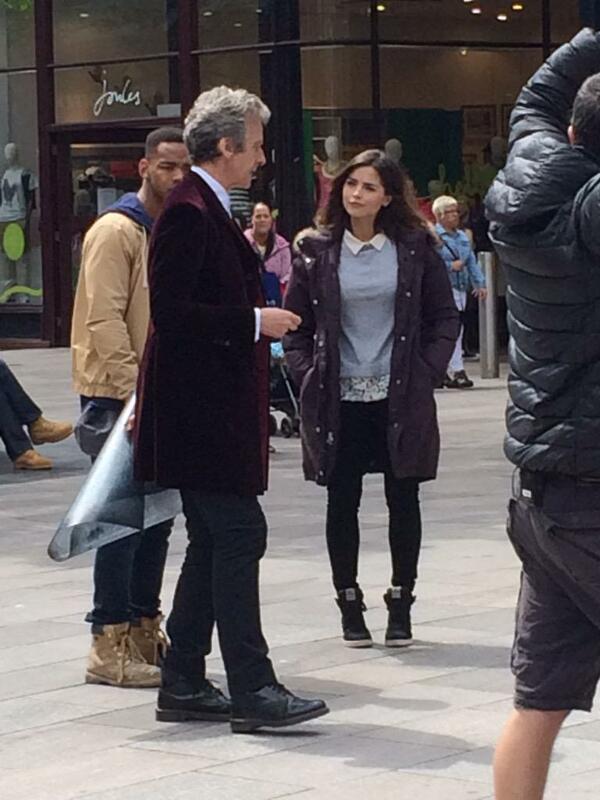 I’ve read a lot already that it is very Pertwee in appearance - but I’m getting much more of a Pyramids Of Mars vibe! This new look is coming quite late into the filming arc of the upcoming series, but I hope it's not just a one-off appearance. 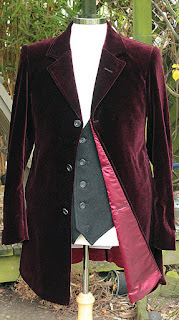 Eitherway, I’m looking to my velvet suppliers already and how quickly they can deliver! I tend to prefer blue over burgandy, but that new velvet coat is smoking! 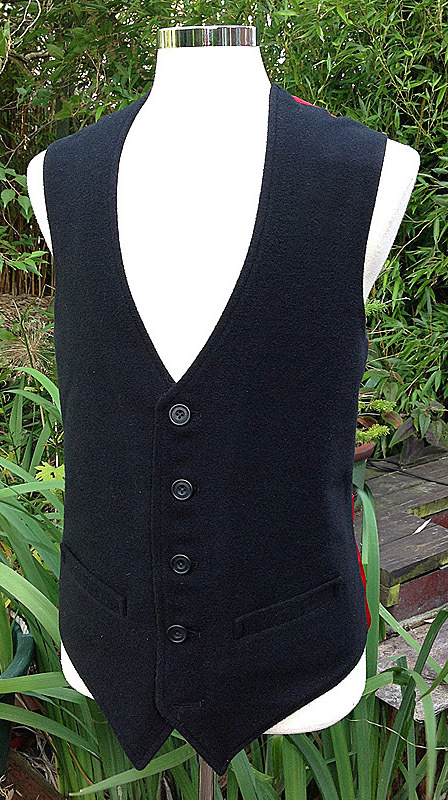 While I don't mind the 'dressing down' looks as much, it's good to see a crisp dress shirt/waistcoat ensemble. Count me in for that one! 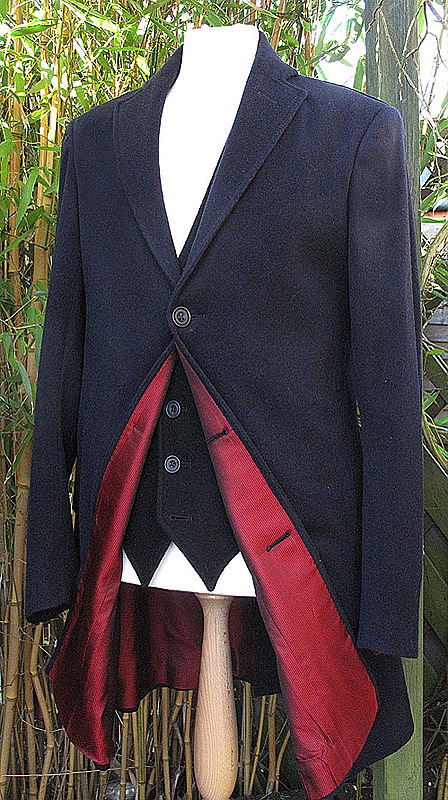 It's more Pertwee in that he's gone from a midnight blue and black ensemble (with a red lining and white shirt), to a jacket that's the same design but burgundy. Plus his more bouffant haircut. I'm predicting a rust red jacket next. 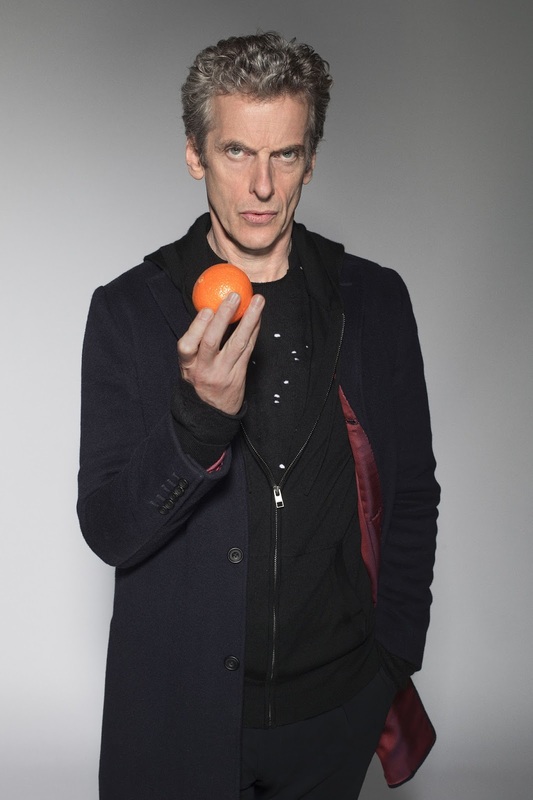 Though, Capaldi does look pretty slick. Loving the Fleetwood Mac reference in the title there, that's two things in this post I love, that band, and this coat. can someone identity the boots from these pictures for me? Could someone please identify the boots from these pictures for me? Doctor Who Festival - cosplay comes of age?